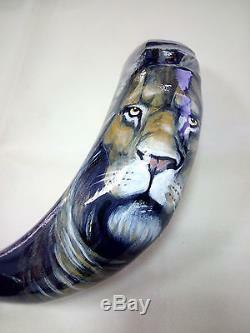 This high quality hand painted Shofar is crafted and painted in. It was checked twice for having a great sound by a special Shofars Expert and though standing in all kosher standards. Sure to become a blessing in its holder home! Good luck and thank you for looking. We will always do all we can to make you happy - this is our promise to you. If you are not 100% satisfied with this item simply return it to us! Item must be in original condition (not worn or used). Feel free to ask any question. The item "14-16 Ram Horn Shofar. One of a kind" is in sale since Monday, April 24, 2017. 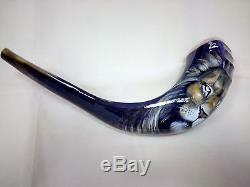 This item is in the category "Collectibles\Religion & Spirituality\Judaism\Shofars". The seller is "dorsk123" and is located in jerusalem. This item can be shipped worldwide. 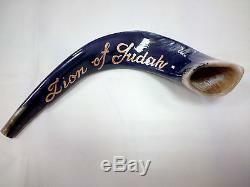 straight from manufacturer: Ram Horn Shofar Hand painted.